I luuuurve pesto. I especially like it tossed into some warm tagliatelle with crispy bacon and sautéed mushrooms. But even so, I am a bit of a pleb when it comes to making it - usually going for the bottled Sacla option (pretty good stuff). 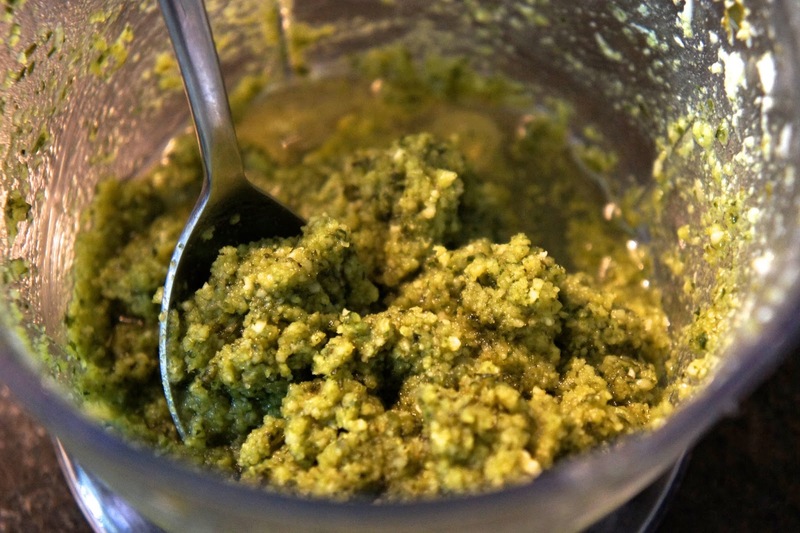 'Pasta Pesto' - despite its Italian origins is probably a staple of many a Brit diet - and I am sure there are others out there who crave it like I do from time to time! 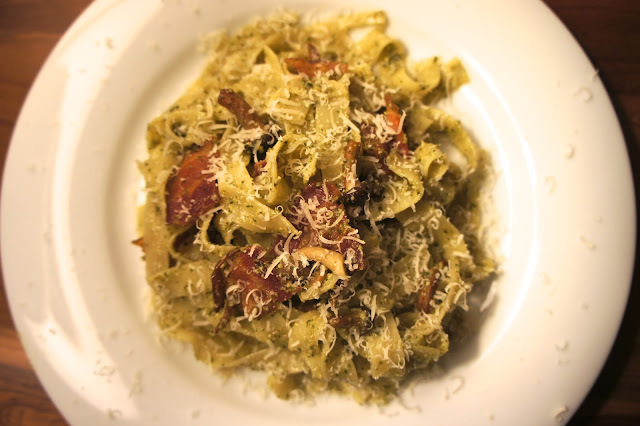 Mr Jules's Almond pesto tossed into tagliatelle with bacon and mushrooms. The bad news is that a jar of Sacla pesto in India costs a minimum 425 Rs - or £4.50/$7 a throw. Why spend that much when you can make a good alternative yourself? (Or in my case, get Mr Jules to make it...he trained as a chemist, so he's very good at these things you know). You can't buy pine nuts here (at least I don't think so and even if you could they would cost a fortune). 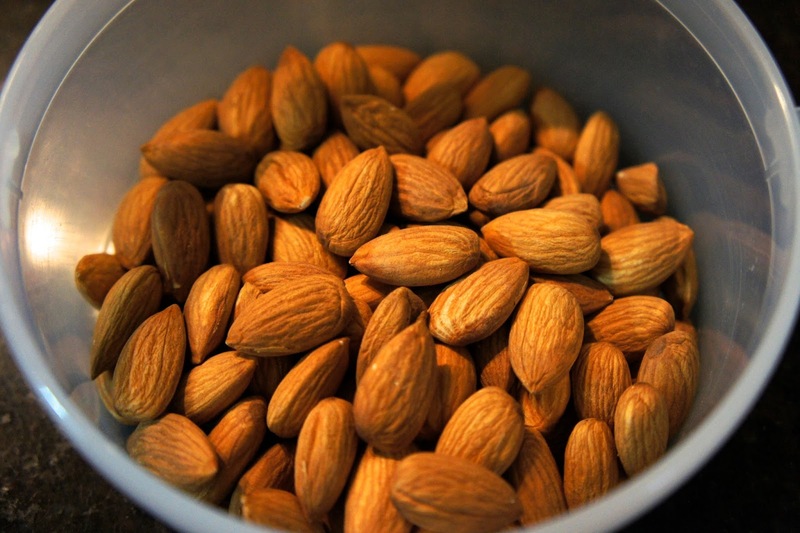 So Mr Jules substitutes in almonds. The result is great and you can't really tell the difference. Great for a Monday night supper...super easy! Good handful of grated Parmesan cheese. 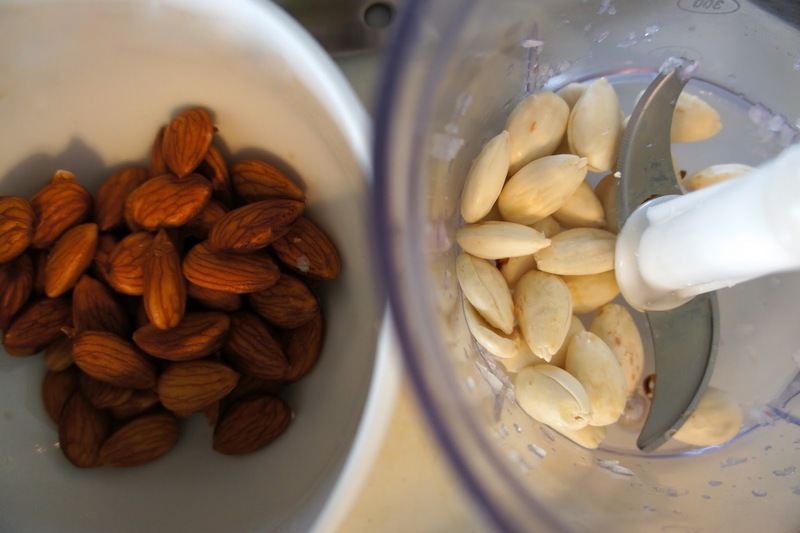 Grind the almonds in a mixer grinder/blender (or in our case, a mini-chopper). Add the basil and chopped garlic and once it's all blended, add the olive oil to get a thick paste. Add the grated parmesan and continue to blend and add the lemon juice - about half of one of the Indian limu or a quarter of a sicilian lemon (you can add more to taste). Add more oil until you get a loose paste. Note: when you drain the pasta make sure to keep some of the pasta water. 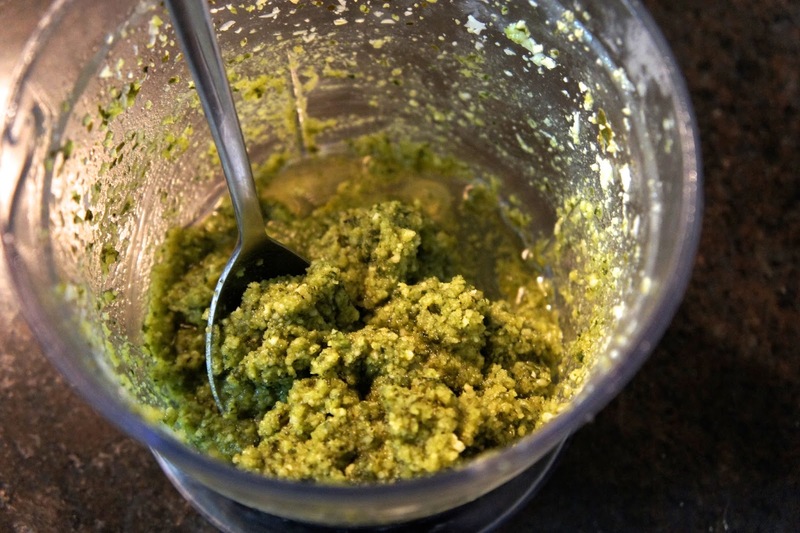 When you mix the pesto with the pasta, add some of this water to loosen it further - so that it mixes with the pasta and covers it evenly. We usually toss the pesto into spaghetti, tagliatelle or farfalle (but you can use any pasta shape you like) and add crispy bacon and sautéed mushrooms. Bellissimo! If in India - start of with whole almonds which you should soak in boiling water before peeling off the skins. Our mini chopper - the star of most of my recipes! 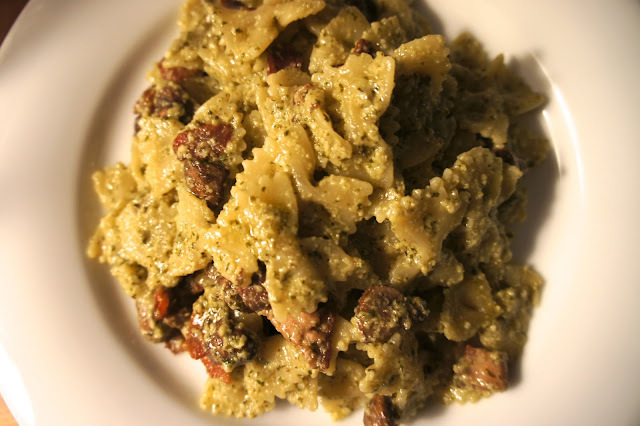 Same ingredients - but this time with farfalle. You can also try pesto and al-dente green beans - more healthy!